Spring is now in full flow (despite the snow here in the north of Scotland) and that can only mean one thing, the latest version of Ubuntu has been released. In this review I will be highlighting the major features of Ubuntu for those of you who have never used Ubuntu before. I will also be highlighting the new features that are available in Ubuntu 15.04. Finally there will be a look at some of the known issues. If you are new to Ubuntu you can download the latest version from http://www.ubuntu.com/download/desktop. The download page advises most users to download the 14.04.2 release which is the long term support release and this is something I will come to later on in the review. The latest version is 15.04 and can be downloaded by scrolling down the page a bit. Note that you can download 32-bit or 64-bit versions of Ubuntu. If you plan to dual boot with Windows 8.1, you will need the 64-bit version. The majority of modern computers are now 64-bit. There are a number of different ways to try Ubuntu out without messing up the operating system you are currently running. After downloading the Ubuntu 15.04 ISO (or 14.04.2) follow this guide to create a bootable Ubuntu 15.04 USB drive. You can now either replace your current operating system with Ubuntu using the official documentation by clicking on this link or alternatively click here to dual boot Ubuntu 15.04 with Windows 7 or click here to dual boot Ubuntu 15.04 with Windows 8.1. Click here for an article showing how to upgrade your current version of Ubuntu to 15.04. If you are using Ubuntu 14.04 you will need to upgrade to Ubuntu 14.10 first and subsequently upgrade again to Ubuntu 15.04. Your first impressions of Ubuntu if you have never used it before will probably depend on the operating system you are currently using. If you are currently using Windows 7 then you will realise that the user interface for Ubuntu is very different and definitely very modern. Windows 8.1 users will probably feel a little bit more familiar and might in fact be pleasantly surprised that the Unity desktop that comes with Ubuntu is functionally so much better than the Windows 8.1 desktop. 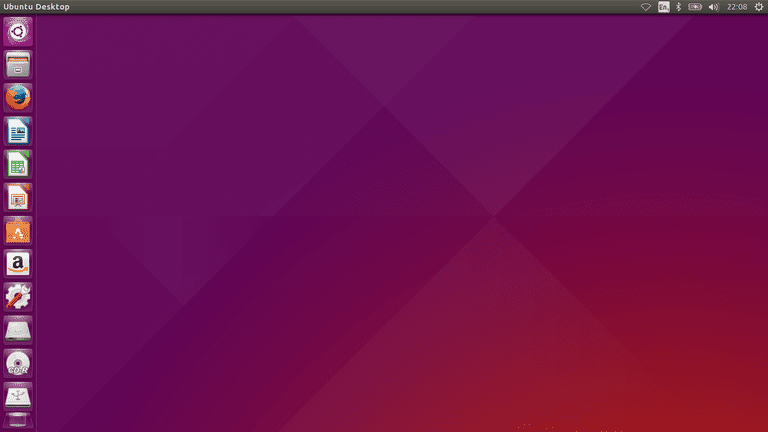 Ubuntu's Unity desktop has a list of icons in a bar down the left side of the screen called the launcher. Click here for a complete guide to the Ubuntu launcher. Ubuntu and specifically Unity provides speedy navigation and the seamless integration of applications with the desktop. The launcher is obviously very useful for opening the more commonly used applications such as the Firefox web browser, LibreOffice suite and Software Centre. For everything else you will need to use the Dash and the easiest way to navigate the Dash is to use keyboard shortcuts. Click here for a guide to the Unity Dash. To aid you with learning the keyboard shortcuts there is a handy key which can be made available by holding the super key (Windows key) on your keyboard for a few seconds. Within each view there are local results and online results and for most views there is a filter. For example when you are on the music lens you can filter by album, artist, genre and decade. The dash essentially makes it possible to perform a number of different tasks without actually having to open an application. To connect to the internet click on the standard network icon in the top right corner as shown in the image and then choose the network you wish to connect to. If you are connecting to a secure network you will be asked to enter the security key. You only have to do this once, it will be remembered for the next time. As with most major distributions you have to install extra packages in order to play MP3 files and watch Flash videos. During the installation you are asked to tick a box to be able to play MP3 files but if you didn't do that all is not lost. There is a package within the Ubuntu Software Center called "Ubuntu Restricted Extras" which gives you everything you need. Unfortunately installing the "Ubuntu Restricted Extras" package from within the Ubuntu Software Center has a major flaw. During the installation a license acceptance box is supposed to appear for using Microsoft's TrueType fonts. Sometimes the license acceptance box appears behind the Software Centre window. You can access the box by clicking on the "?" icon in the launcher. Even worse though is that sometimes the acceptance message doesn't appear at all. To be honest the easiest way to install the "Ubuntu Restricted Extras" package is to use the terminal. During the installation of the package the license box will appear. Press the tab key to choose the "OK" button and press enter to continue. For those of you worrying that Ubuntu might not have the applications that you have become accustomed to with Windows need not be worried at all. Ubuntu has everything you need to get you started including a web browser, office suite, email client, chat clients, audio player and media player. If the type of application you require isn't installed by default then it is highly likely to be available from the Ubuntu Software Centre. If you just want to browse you can click on the individual categories and have a good look about but for the most part you will want to use the search box to search by keyword or title. The Ubuntu Software Centre is improving and it is definitely returning more results than it did before but it still does some particularly annoying things. For instance if you want to install Steam you would think you search for it in the Software Centre. Sure enough there is an entry for Steam and a description. Clicking on the description states that the software isn't in your repositories. Now click on the arrow next to "All Software" at the top and choose "Provided By Ubuntu". A new list of results appear with an option for "Valve's Steam Delivery System". Installing this package gets you the Steam client. Why doesn't "All Software" mean All Software? Creating custom partitions whilst installing on a blank disk throws up the message "Force UEFI Installation?" This is harmless and can be ignored. Which version of Ubuntu should you choose? If you are a new user and installing Ubuntu for the first time then it might be more prudent to install Ubuntu 14.04 as it has 5 years worth of support and you won't need to upgrade every 9 months. If you are using Ubuntu 14.10 at the moment then it is definitely worth upgrading from Ubuntu 14.10 to Ubuntu 15.04 so that you remain supported. There is absolutely no reason to install Ubuntu 14.10 as a fresh installation. You will however need to upgrade from Ubuntu 14.04 to Ubuntu 14.10 in order to upgrade again to Ubuntu 15.04 if you wish to move from Ubuntu 14.04 to Ubuntu 15.04. The alternative is to backup your important files and re-install Ubuntu 15.04 from scratch. Ubuntu 15.04 is mainly a bug fix release with minor enhancements. There are no new must haves. The operating system is in a stable state at the moment and therefore the emphasis is definitely evolution over revolution. New users to Ubuntu should know that the search results within the Unity dash include adverts for Amazon products and the Ubuntu license agreement states that your search results will be used to improve the products that are offered to you. It is basically the same as Google targetting results based on previous searches. You can turn this feature off and omit online results from within the Dash. I have always been a fan of Ubuntu but there are some things that don't seem to be getting better. For instance the Software Centre. Why can't it just return all the results from all the repositories that are selected. The button says "All Results", return all the results. The videos lens doesn't have a filter anymore. It used to let me select the online video sources to search but that has gone. The "Ubuntu Restricted Extras" package is so important yet there is such a fundamental glitch with the license agreement either hiding behind the software centre or not appearing at all. The Unity desktop has been a shining light when it comes to modern desktops over the past few years but I would say that the GNOME desktop is now a better option especially when you integrate GNOME Music and GNOME Video. I have reviewed openSUSE and Fedora recently and I can't honestly say that Ubuntu is better than either of them anymore. The one thing Ubuntu has 100% right is the installer. It is the easiest to use and most complete out of all the installers I have tried. Let me be clear. This version of Ubuntu isn't bad, there is nothing that seasoned Ubuntu users will find displeasing but there are enough rough edges that could put potential users off for good. Ubuntu is still one of the shining lights for Linux and is definitely one to be considered whether you are a beginner or seasoned professional.